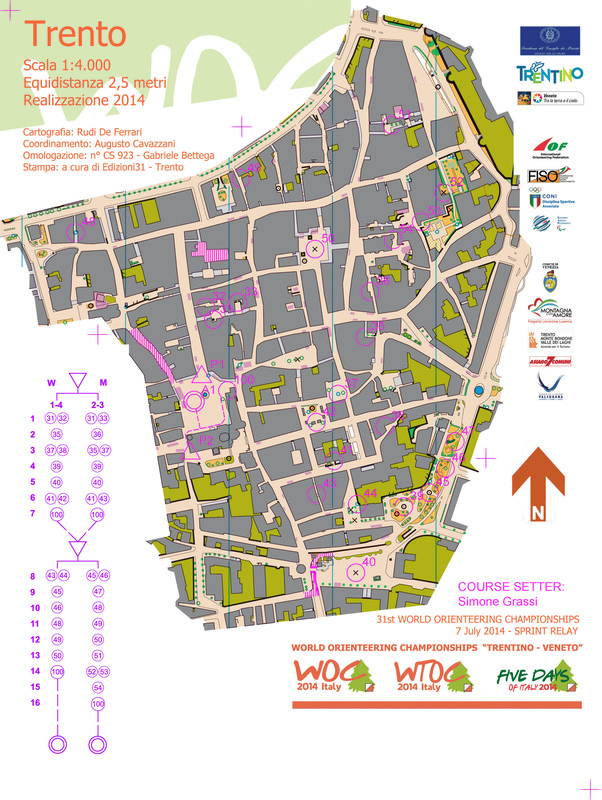 The United States sent a talented team of orienteers to Italy for the 2014 World Orienteering Championships. Race assignments, results and links to maps and photos are below. My friend from high school, Holly Kuestner, told me about orienteering and invited me to come to one of the WIOL (local school league) meets. I went, and after spending at least 5 minutes hiding behind a tree near the start just trying to orient my map, I enjoyed the rest of the course. I went to all the local meets that season, and after my ﬁrst A-meet (an Interscholastics championship), I was hooked. 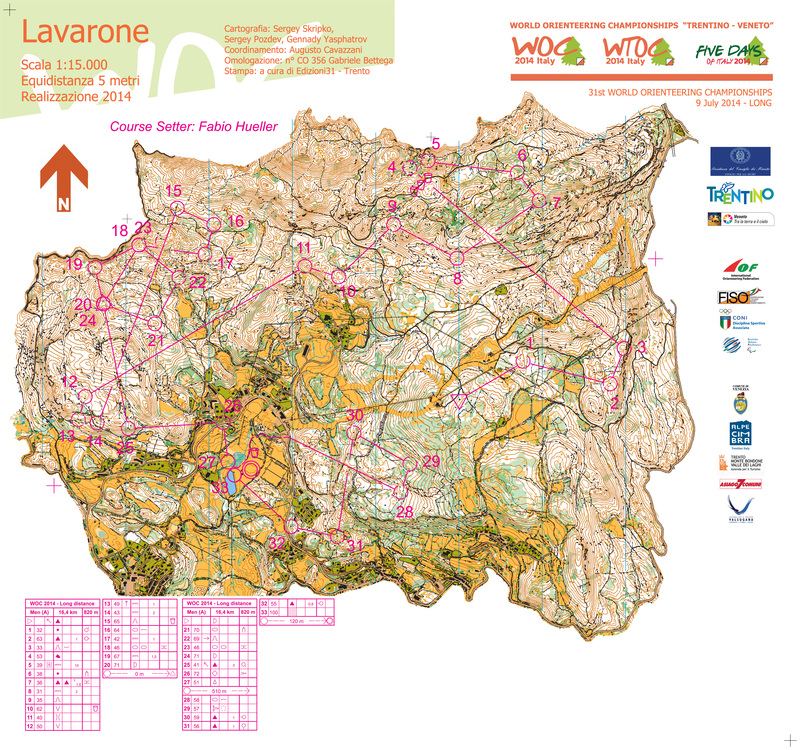 For at least half an hour before my start, I try to focus only on orienteering. 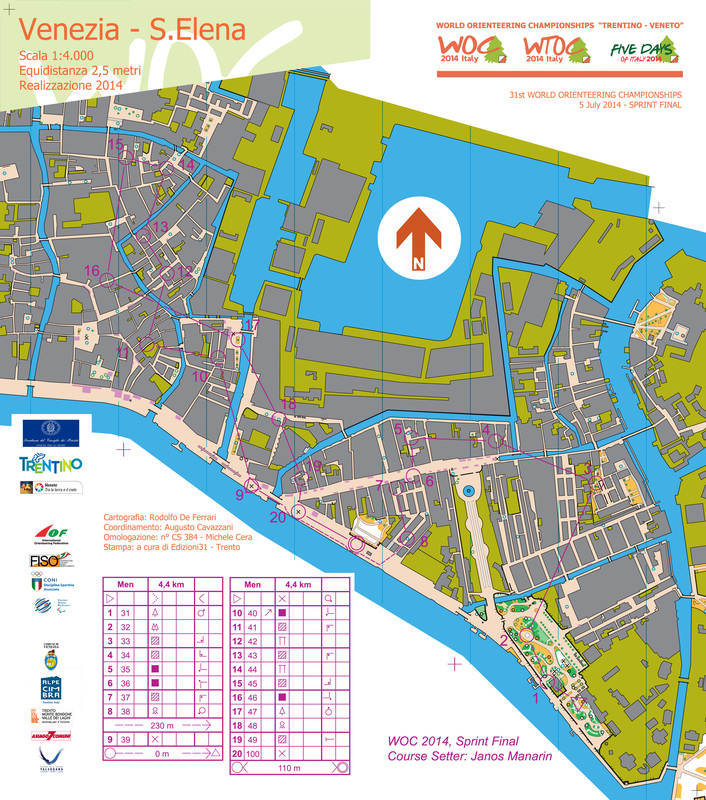 If there's a warm-up map, I will go out on that either walking or jogging, and if not I will bring an old map of the area (or any other orienteering map I happen to have) with me on my warm-up jog. If I don't have any map with me, I will look at the terrain and try to visualize how it will be mapped. Doing this really helps me focus so I can have a clean ﬁrst control. I try my best to get more people to try the sport. As it grows, however slowly, the increased interest seems to spark more interest and consequently more competition. Also it's fun to have more friends around. I've been orienteering since before I can remember, thanks to my father, Dave Enger. I went to JWOC once in high school, then drifted away from the sport in the next few years. I began training seriously for the ﬁrst time after the U.S. Relay Champs in December 2012, when I realized that I wanted to be like all the guys (and gals) who were faster than me! Never fail to believe in yourself and stick to your training plans, because your goals may not be as far off as they sometimes seem. And once in a while, stop to think positively about how fortunate you are to be able to do the things you can do, both in orienteering and in life. 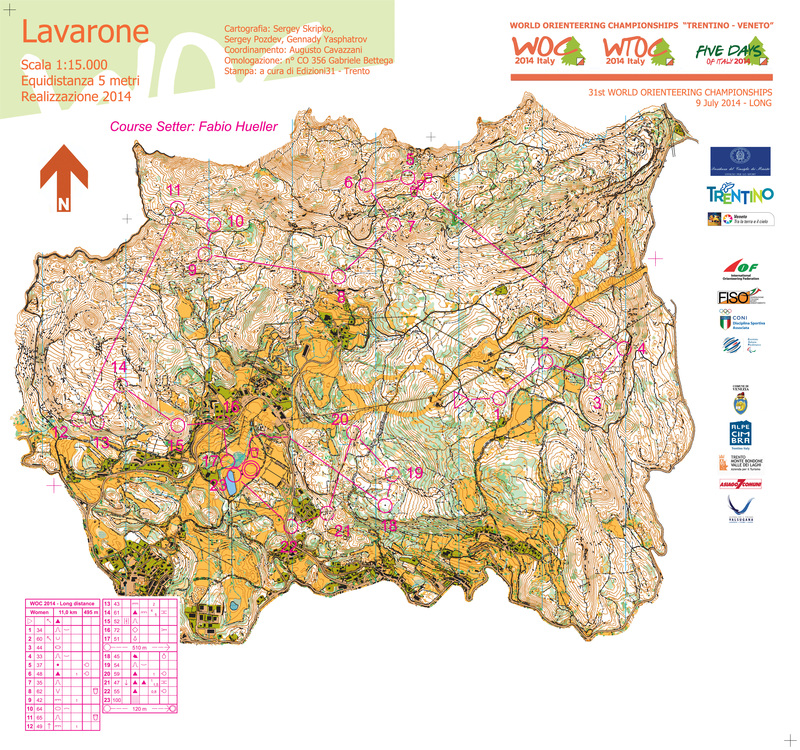 Who are your orienteering idols? My dad, and the rest of the gang at Sammamish OC! Before each race, I try to get about a 10 minute warm-up in (with warm-up clothing on if possible) while carrying a map of the area. While I'm jogging, I'll look at the map and pretend to thumb along, visualizing what I'd be seeing, checking off, collecting as I run through that course in my head. It allows me to get into the terrain while I shake my legs out from the ride over. Next, I'll jog to the start 5-10 minutes early and go to the warm-up/practice map area and do 2-3 sprints through the woods there. After that, I'll do some final stretches and grab a cup of water before I start! It's pretty straightforward, but it helps me relax and get into the flow of the course more quickly. Before a race I like to warm up with a nice jog and listen to some great Taylor Swift songs. Before I could walk, my mother would take me on the course in a baby backpack. I got into competitive orienteering my beginning year of high school by joining my school’s JROTC Orienteering Team. I help my teammates at West Point by sharing my experiences and knowledge in order to help improve their orienteering ability. I learned best by traveling around the States and across Europe, for in doing so I was able to race on a multitude of maps and a wide range of terrain. I tried new things and old techniques on these many terrains and was able to discover what skills worked with which terrains. Getting out to different events will help you tackle new terrain and courses with conﬁdence and competence, and it will help you improve on lands you are already familiar with. To represent the United States at the international level.